The legendary Orange P7 steel hardtail has gone through a few changes over the years and after a brief hiatus it's back with new geometry, a new Reynolds 525 tubeset and a new wheel size, but with the same attitude that'll see it stood outside the headmaster's office on the first day of trail school. This new Orange P7 has rebel written all over it; long top tube geometry, a slacker head-angle even than the rowdy Crush, this bike means business. The whip and the spring of the CroMo chassis cannot be replicated, and once you 'get' steel, it's hard to go back to a frame with a less spirited ride. The Orange P7 urges you to go faster, pedal harder and fly higher. With frame features like the bolt through rear axle for rigidity, optional hose and cable bosses where you want then, chunky tyre clearances, and internal dropper seatpost routing the Orange P7 is ready to rock and roll. 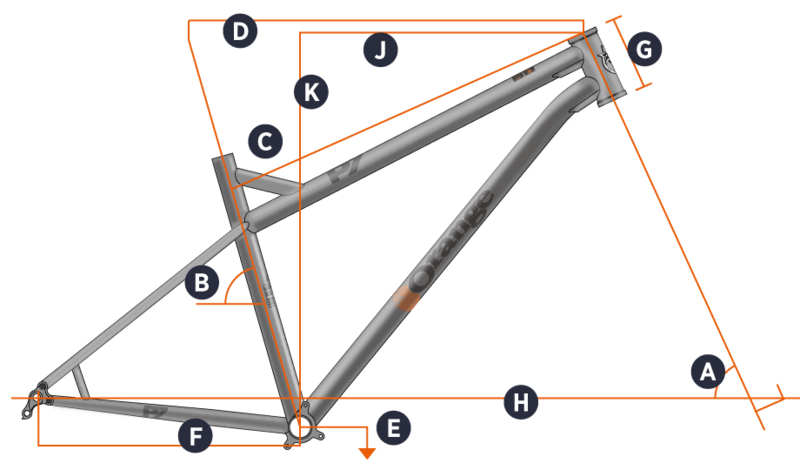 Sunset Cycles offers the 2018 Orange P7 27.5 hardtail mountain bike frame with up to 24 months 0% finance and free delivery.